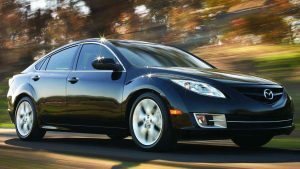 Mazda has announced a recall on almost 49,000 of its 2009 and 2019 Mazda6 Sedans due to a suspension component that may rust to the point that it breaks. Broken parts results in drivers losing control of their vehicles. Because this component is more likely to rust if it is exposed to ro d salt, the recall is limited to vehicles that were sold or registered in “salt states” where weather is typically colder. This includes Connecticut, Delaware, Illinois, Indiana, Iowa, Kentucky, Maine, Maryland, Massachusetts, Michigan, Minnesota, Missouri, New Hampshire, New Jersey, New York, Ohio, Pennsylvania, Rhode Island, Vermont, Virginia, West Virginia, Wisconsin, and the District of Columbia. There have been no crashes or injuries related to the issue according to the National Highway Traffic Safety Administration. One way to tell if your vehicle is affected is to plug your car’s 17-digit vehicle identification number into the NHTSA’s website. As of October 2018, Chevy reports that Chevrolet Volt owners contributed to reducing the amount of gas consumers use. In total, it was reported that 147,000 Chevrolet Volts in the U.S. have covered approximately 2.6 billion miles, and saved 108 gallons of gas. The Volt is equipped with one of the largest batteries available for cars today, which gives a range of about 53 miles. Chevy has reported that the 2019 model year will increase this even more. GM has also reported that the sales of the Chevrolet Volt have not specifically grown in the last few years. 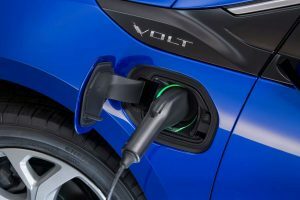 The company is also approaching the federal tax credit limit, which will trigger a phase out of incentives- so the Volt will likely not expand in the market. General Motors has announced that they are giving new-vehicle buyers the option to add two years onto their factory warranty. The program is optional, and begins October 2018. The warranty lengthens the factory 3-year/36,000 mile limited warranty on Chevrolet and GMC vehicles. For Buick and Cadillac, the extension lengthens the warranty to 6 years/70,000 miles. Pricing for the warranty will be left up to dealers. GM suggests that they charge $1000-$2000 based on the price and type of vehicle. The cost would be added to the vehicle price and rolled into their monthly payment. Several dealers reported having mixed feelings about the program. They say that there is a risk associated that would help the manufacturer more than the stores. However, some feel that the warranty is innovative and will help the dealer sell more cars as well as retain more service customers. The recent administration says that tariffs on Chinese imports will shift manufacturing back to the United States, but some small to midsize factories are saying that the tariffs are hurting their business. Many of these factories including automotive, rely on steel tubes cut in China for painting and welding. One plant noted that they planned to hire another 40 workers, and because of the tariffs has decided to hold back. The Trump administration says the tariffs are designed to counter what it sees as unfair trade practices that give Chinese firms the advantage over their U.S. counterparts. 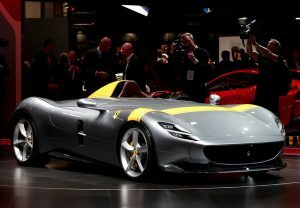 Some U.S. manufacturers have also reported an increase in revenues as it has forced customers to rethink supply chains. However, other automotive companies have said that the U.S. tariffs are raising their costs and making them less competitive. ARE TRUCKS & SUVS BECOMING THE “LUXURY SPORTS CARS” IN AUTO LEASING? 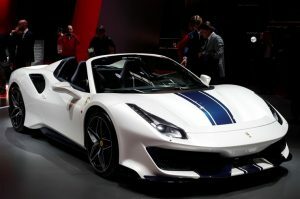 Swapalease.com, the nation’s largest car lease marketplace, unveiled today new analysis of its marketplace trends that show a culture of automotive preferences that continues to be redefined by America’s enchantment of trucks and SUVs. The analysis shows interesting preference trends that have changed for auto leasing that may help the industry understand what consumers want in a lease. During the second quarter of 2016, roughly 27.5% of Swapalease.com drivers listed their vehicle under the category of “luxury sports sedan”, while another 24.0% listed their vehicle as either a truck or an SUV. During the second quarter of 2018 these numbers essentially reversed, with 22.8% listing a luxury sports sedan and 27.2% listing a truck or an SUV as their current vehicle lease. As far as the type of vehicle consumers “want” to drive, 30.3% listed an SUV during the second quarter of 2018, and this number increased to 32.9% in 2018. For small cars, this number dropped from 7.1% in 2016 down to 6.7% in 2018. 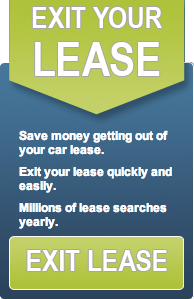 Vehicle leases have historically been written for either 36- or 39-month terms. However, during the second quarter of 2016 roughly 50.1% of drivers said their ideal lease term was for two years; this number increased to 54.1% during the second quarter of 2018. For a three-year lease, 42.8% listed this term as ideal in 2016; while only 39.4% listed this term as ideal in 2018. Historically, the majority of leases written were for foreign brands, and this trend seems to be growing over the last few years. Approximately 66.0% of drivers said they were currently driving a foreign brand for their lease in 2016, and this number increased slightly to 68.2% in 2018. What’s more, while 44.7% said they wanted their next vehicle lease to be with a different brand in 2016, this number increased to 49.9% in 2018.